Every day this week, we will be bringing news of book banning from across the divisions and around the world. This year, we are focused on stories. Banning Books Silences Stories, and our community has more than a few stories of censorship, either from a home country, a place we’ve lived, or from family and friends. Each day, we will focus on a theme of banning with the stories that accompany that theme. Please feel welcome to share these stories. Take a moment today to appreciate your right to your personal story, and your ability to see it in literature and on film, and feel free to share this message with anyone you choose. Today, the topic at hand is curriculum. Books are often restricted at the curricular level, given the power that is in the hands of the teacher and the school. Students are required or encouraged to read a certain text, a person or a group finds an issue with this, and the book is removed from suggested lists, classrooms, or curricula. Two of our teachers have seen this in action. In one example, a teacher expressed that a book that she wanted for her classroom, Plainsong, had a passage containing some sexual material. The principal allowed her to purchase a class set of these books, but when they came in, he had her take out that page with an exact-o knife. One page removed from every single book in her new class set. The teacher remarked that this was the worst moment in her teaching career. 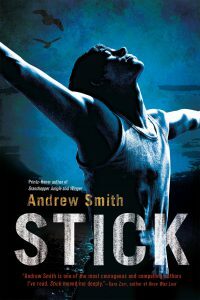 A second teacher saw this in a friend of hers, with a book (Stick, Andrew Winger) being on a recommended reading list. The book deals with LGBT issues, bullying, and abuse. One group of people pressured the superintendent to remove the book from the list and from the library after one parent complained about the content. Against the recommendations of a committee formed to review the book, they decided to remove it anyway. 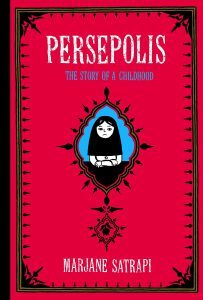 One of the more famed cases of curriculum removal is in the case of Persepolis, removed from the Chicago Public Schools curricula. The district commanded the removal of Persepolis from both classrooms and libraries, citing that they were unsure the students had the maturity to appreciate and fully understand the book. There were no formal complaints and no formal process for removing the book, just a sudden and urgent push from the administration. Removing the book from curriculum completely removed it from student hands given that the school libraries there are not nearly as well-developed as the library here is. Another common reason for books to be banned from curriculum is that they “aren’t academic enough.” Some books that touch on truths that don’t want to be believed, stories that some believe are too intense for kids to read. Reading them as a class can provide context and clarity, and requires trust in the educator as well as the text. It’s unfortunate that not every school honors the experience of the educator to teach tough topics. AAS is fortunate to have books in curriculum that tackle tough topics, as well as books in classrooms and book rooms that deal with real life, emotions, and true experiences. We are also amazingly fortunate to have educators that teach books that some others have banned.